UKHRUL TOWN, JANUARY 19, 2018 (DIPR): Kachai, a small village in the Ukhrul district of Manipur, is known for its finest variety of lemons. The remote village located at a distance of more than 130 kms from Imphal city and around 47 kms from the Ukhrul town, is blessed with breath taking natural scenic beauty. Speaking to DIPR, Khamshang R Shimray, village headman of Awungdang, Kachai village said the lemons grown in the area have many specialities which have being used since time immemorial. He said the lemons have medicinal properties and is used in treatment of various health problems like issues of blood pressure, gastritis, dry scalp and are also used in making soaps. The village has 479 households with a population of 2,600. Apart from cultivating other organic vegetables, the villagers cultivate paddy and lemon as their main crops. 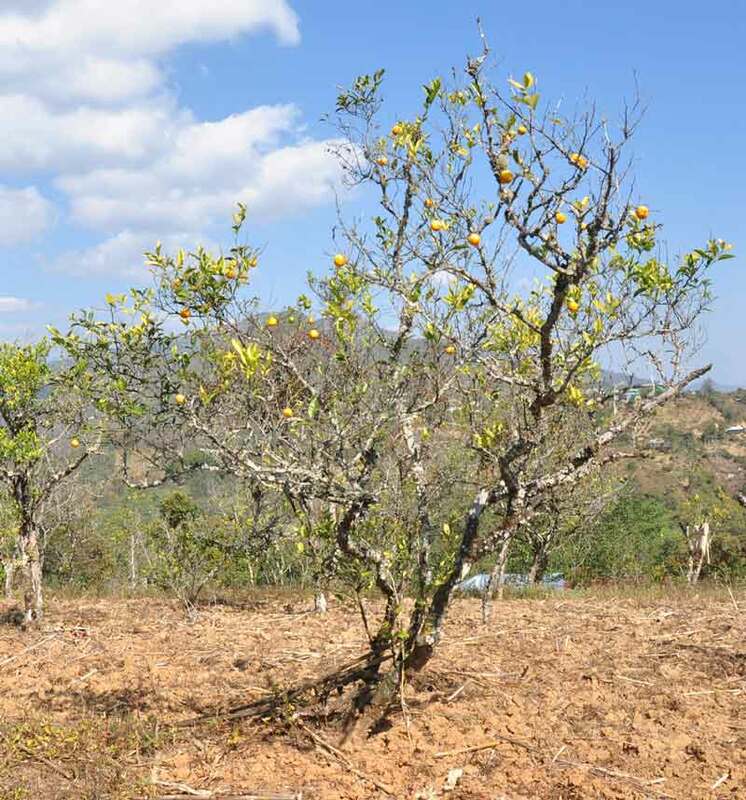 Stating that the cultivation of lemons begins in the month of June, he appealed to the experts to help the villagers in solving problems relating to insect infestation and bacterial/fungal infection so that they can increase the production organically. He also thanked the State Horticulture Department and NGOs for their active involvement in the mission to make the organic lemons more famous and in marketing the lemons targeting broader audience. He informed that the villagers are very proud of organically produced vegetables and lemons of the village which are also sold in the Organic Outlet at Sanjenthong. He said it is a proud moment and a privilege for the villagers that the Horticulture and Soil Conservation Minister Shri Thounaojam Shyamkumar inaugurated the 14th district level Kachai Lemon Festival. He informed that it is for the first time that a minister has taken part in the festival. Praising the minister for graciously accepting the invitation to take part in the festival as the chief guest, he hoped that, with the initiatives of the State Government, the villagers can solve their problems which will increase their income. He said the villagers despite the lack of basic infrastructures, including transport and communication are working hard to improve their livelihood. The main source of income for the villagers are primarily from agriculture and other horticultural products which includes the famous lemon. Education is also taken seriously by the villagers and the kids attend Kachai Junior High School and Kachai Little Elementary School to gain basic education within the village. There are also two private schools, he said. The villagers of the Kachai villagers thanked the State Government and Minister Th. Shyamkumar for promising to construct two markets soon — a rural market shed and a retail market with a fund of Rs 24 lakh. Hoping that State Government will take more such initiatives in the future, they hoped that they can continue to work hard leaving behind all the tension to find a profitable market to sell their produces. They also said they will double their hard work to increase the productions of lemon so that the festival becomes more successful with each coming years.